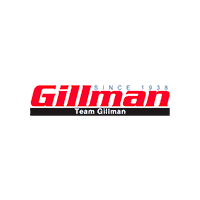 This 2007 Lexus GS 350 is offered to you for sale by Team Gillman Mazda. This 2007 Lexus GS 350 comes with a CARFAX Buyback Guarantee, which means you can buy with certainty. With amenities and luxuries befitting a modern day king, this splendorous coach reigns supreme. You can tell this 2007 Lexus GS 350 has been pampered by the fact that it has less than 149,637mi and appears with a showroom shine. More information about the 2007 Lexus GS 350: The 2007 GS line from Lexus competes with the Mercedes-Benz E-Class and BMW 5-Series, straddling the line between comfortable luxury car and high-tech sport sedan. The GS 350 now stands out as a better value because of its performance (among the best among six-cylinders in its class) that's close to the GS 430 at a much lower price, while the GS 430 and GS 450h stand out for their additional high-tech features. Interesting features of this model are High-tech features, overall performance, luxurious interior, and available all-wheel drive on GS 350.